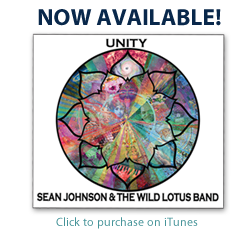 In addition to being a kirtan musician, Sean is also a respected yoga teacher, founder of Wild Lotus Yoga in New Orleans, and a Yoga Journal contributor and presenter. He is also the creator of Soul School, an interdisciplinary yoga and spirituality teacher training program that focuses on bringing soul and imagination to the art of teaching yoga. Sean seeks to weave the emotional power of bhakti yoga with the sensuality of hatha yoga to free the spirit and bring more love, creativity, and depth to our lives. His classes, often accompanied by The Wild Lotus Band, focus on opening the heart through ecstatic chant, storytelling, mythology, creative vinyasa flows, mystical poetry, and enchanting music. He has taught at many conferences and festivals, has written articles for Yoga Journal, and is also the co-curator and co-producer of the Putumayo World Music yoga music compilations. Sean opened Wild Lotus Yoga over a decade ago. The studio, with locations in uptown and downtown New Orleans, has been voted “Best Place To Take A Yoga Class In New Orleans” by Gambit Weekly readers each year since it opened. 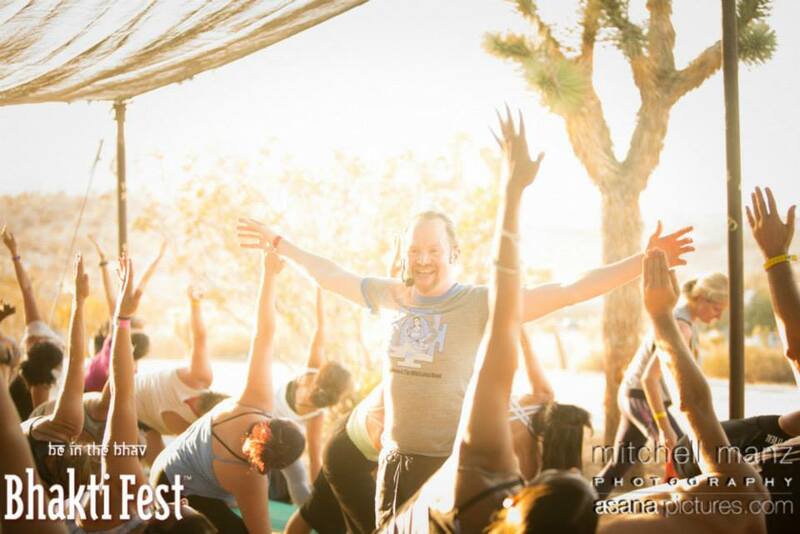 Sean’s signature “Bhakti On The Mat” yoga class, which is he teaches with the band at many yoga conferences and festivals, merges Hatha and Bhakti yoga and is accompanied by the enthralling live soundtrack of Alvin and Gwendolyn. Bhakti Yoga can be a wonderful vehicle for infusing asana practice with more meaning, feeling, and inspiration- especially when we’re feeling burnt out, dried up, or a lack of motivation. 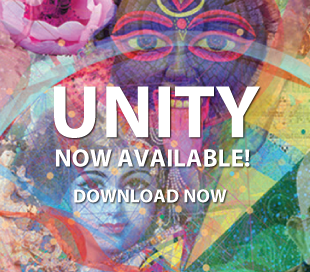 Deepen your connection to the spirit of life by merging the heart-opening qualities of bhakti yoga with the sensuality and vitality of asana in this playful practice which includes storytelling, poetry, kirtan chanting, graceful vinyasa sequences, and evocative music. Some experience with vinyasa yoga is recommended. Sean, Alvin, and Gwendolyn have shared their Bhakti On The Mat classes at Yoga Journal Conference, German Yoga Conference, Bhakti Fest, Shakti Fest, Texas Yoga Conference, Asheville Yoga Fest, Floyd Yoga Jam, Southeast Yoga Conference, The International Ojai Yoga Crib, Mahabhuta Yoga Festival, and Kripalu Bhakti Bliss, and more. Deepen your relationship to your own soul through bhakti yoga. This unique workshop will explore ways to integrate bhakti yoga into your life including chanting, singing meditation, storytelling, poetry, ritual, art, and journaling. No musical or previous experience with bhakti necessary. Sean is passionate about helping yoga teachers bring more bhakti, depth, and imagination to their teaching, integrating bhakti and asana. 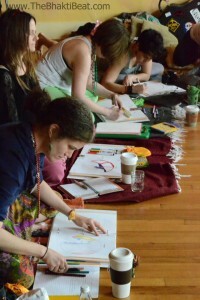 This workshop helps teachers to connect to the depth and authenticity of their own voice and soul through teaching asana, chanting, harmonium, rhythm, storytelling, poetry, mythology, ritual, metaphor, and more. If you’re interested in booking any of these offerings in your community, please click here.